Watershed Action Alliance of Southeastern Massachusetts invites you to register for its third biennial conference on critical water issues in our region and beyond. The 2019 conference, Water – New England’s Next Big Challenge, will be held on March 29 from 8 a.m. to 4 p.m. at The Needles Lodge, 1 Camp Kiwanee Road in Hanson, MA. This year’s topics are the intersections of water quality and water quantity, the future of water in New England and taking action to protect water with speakers from The Nature Conservancy; Manomet, Inc.; Mass Audubon; the Southeastern Regional Planning & Economic Development District, and other organizations. 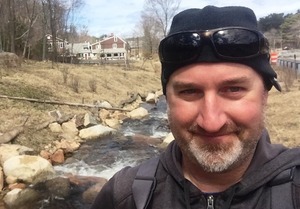 Alex Hackman of the MA Division of Ecological Restoration will present the plenary talk describing the role of community-based ecological restoration in preparing the Commonwealth’s aquatic resources for the future. An exhibit hall will showcase WAA’s member watershed associations and sponsoring agencies, businesses and non-profits. And, for some fun and succinct education about local work, WAA’s member organization’s will do “speed presentations.” They will have 5 minutes to talk, presenting 15 slides, which will automatically advance every 20 seconds. The conference fee is $25. Students, interns and low-income residents may attend for free; registration is required for all.